From the droves of natural specks that emerged during the summer as kids, to the faux ones we draw on because the runways inspire us to, freckles are always a fascinating subject to broach. Here, find a slew of things you probably didn't know about the sun-induced specks. 1. There are two different kinds of freckles. The more common of the two are ephelides, which are flat, light brown marks that tend to fluctuate with the seasons. "They can get darker in summer and lighter in the winter time," explains Rachel Nazarian, a board-certified dermatologist at Schweiger Dermatology. "In fact, people can see them fade even after applying sunscreen for several weeks." Then there are lentigines, aka liver or age spots, where the the skin contains even more melanocycte cells and thus, doesn't typically change based on exposure to sunlight. Freckles are linked to a key genetic player in regulating your skin and hair color. A gene known as MC1R controls how much of two different kinds of melanin you produce. The two types are 1) darker brown eumelanin and 2) reddish-yellow pheomelanin. If your MC1R gene is inactive, you'll produce more pheomelanin leading to light hair/skin, as well as a propensity for freckles. 3. Nobody is born with them. Have you ever seen a newborn baby with freckles? Nope. Never. "Despite what some people say, freckles are absolutely always from sun exposure," says Nazarian. "They cause the pigment making cells in your skin to rev up and create more pigment." 4. They're an indication of how sensitive your skin is to the sun. 5. They double as natural sunscreen. The melanocytes act as a natural sunscreen by darkening your face and thus make the skin less susceptible to UV rays. But seriously, it's no excuse not to be applying and reapplying a minimum of SPF 30 daily. "They are still a risk factor for skin cancer because they're caused by ultraviolet light, so if you make a lot of freckles, you should be very vigilant about your skin health and get your annual skin check," cautions Nazarian. 6. Not all redheads have them. While redheads have less melanin in their skin, contrary to popular belief, not all of them have freckles. They're thought to be controlled by the same gene, but red hair is recessive, and freckles are a dominant trait. Roughly 80% of redheads have an MC1R gene. 7. In Mediaeval times, they were considered witches' marks. 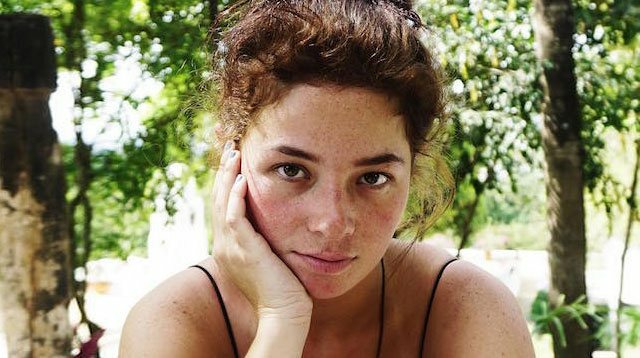 Never mind the fact that men have and will alway be just as susceptible them–right up there with moles, warts, and birth marks—freckles were said to be indicative of a women's allegiance to the devil. This article originally appeared on Marie Claire. Minor edits have been made by the Cosmo.ph editors.